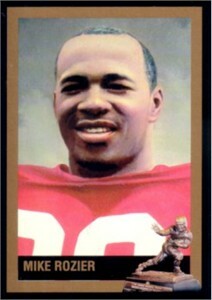 Mike Rozier Nebraska Cornhuskers 1983 Heisman Trophy winner card from the officially licensed Heisman Collection set. NrMt-Mt or better. SOLD OUT.